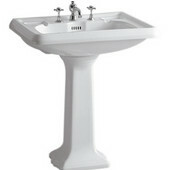 Since 1887. 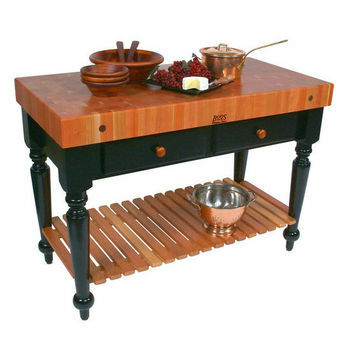 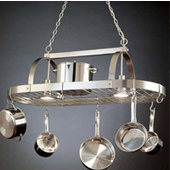 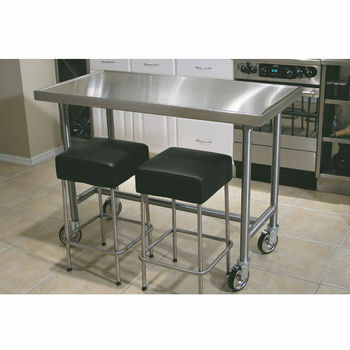 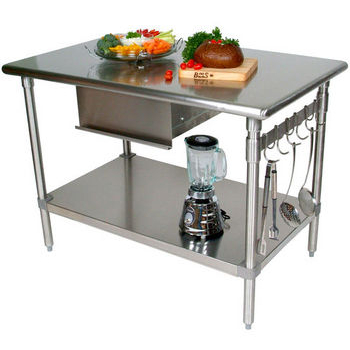 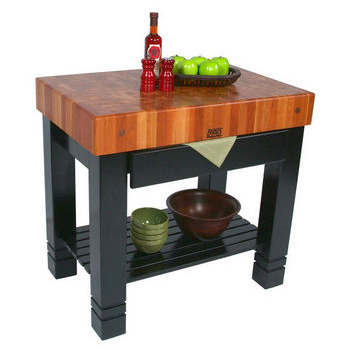 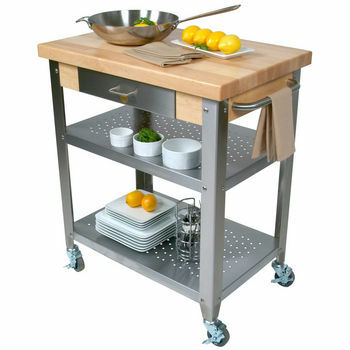 Huge selection of highest quality kitchen carts, kitchen islands, butcher block and stainless products. 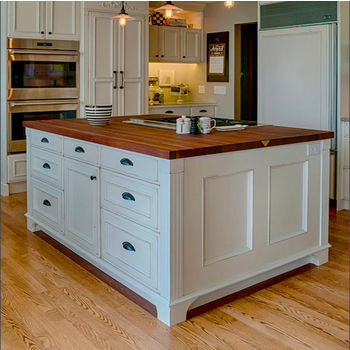 Solid wood & MDF kitchen islands that add a unique style to your kitchen area. 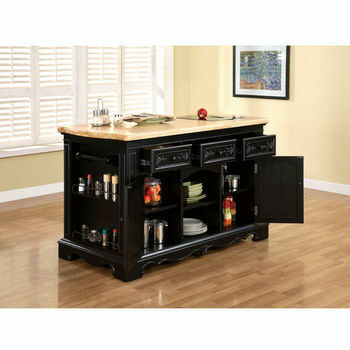 Kitchen carts, stationary kitchen islands with butcher block tops, baker's racks, swing out bars and matching bar stools, and more. 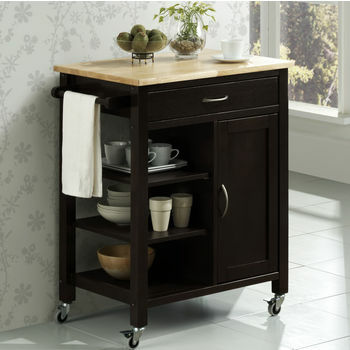 Elegant kitchen carts and kitchen islands by Crosley Furniture, made of solid hardwood and wood veneers. 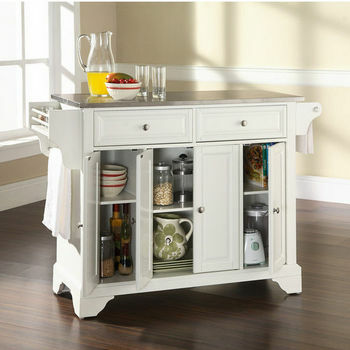 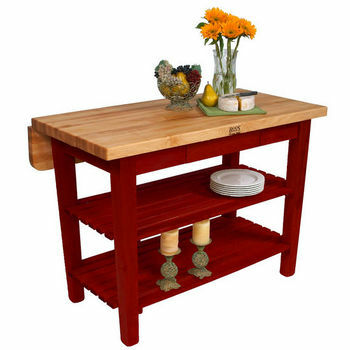 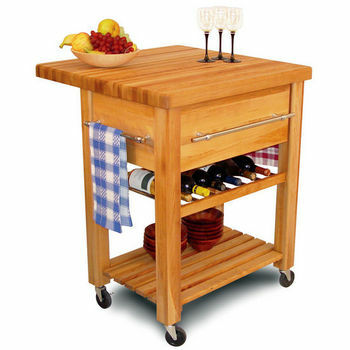 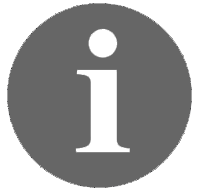 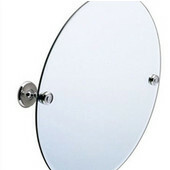 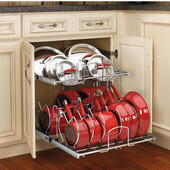 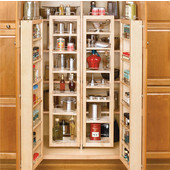 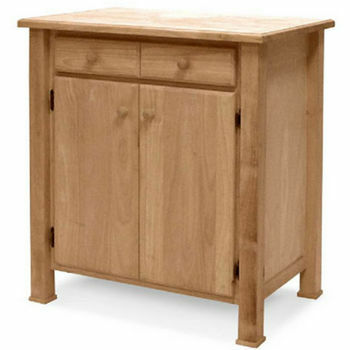 Kitchen carts and kitchen islands, butcher block carts & tbles, utility and wine carts, french country breakfast tables. 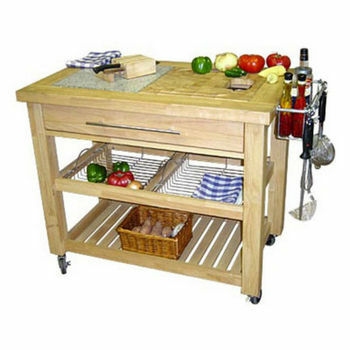 Kitchen Carts and kitchen islands of quality and distinction in hammered steel and butcher block. 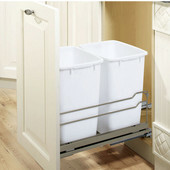 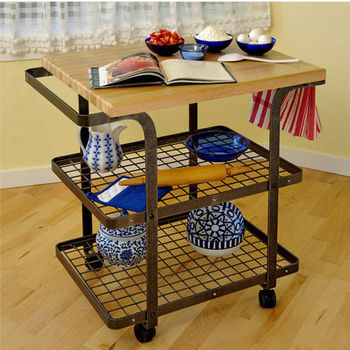 Mobile carts can be used anywhere in your home to provide storage and an empty space to work on. 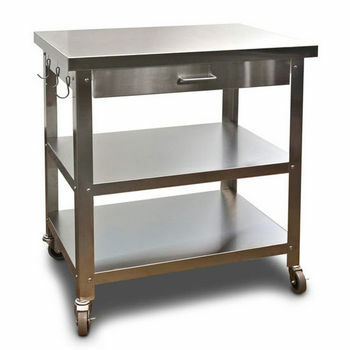 Commercial quality stainless steel kitchen carts, movable kitchen islands, microwave carts & serving trolleys. 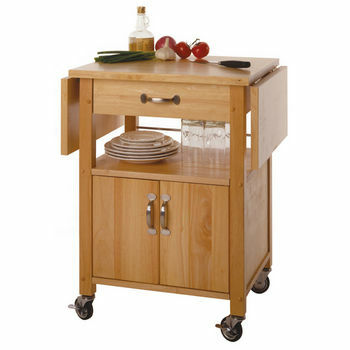 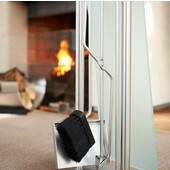 Easy to use mobile carts provide excellent service in your kitchen area. 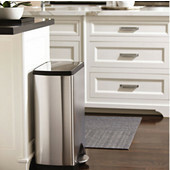 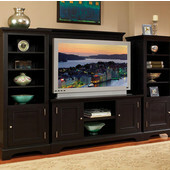 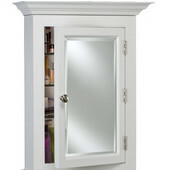 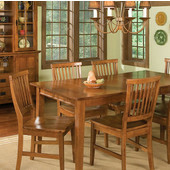 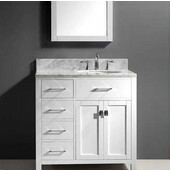 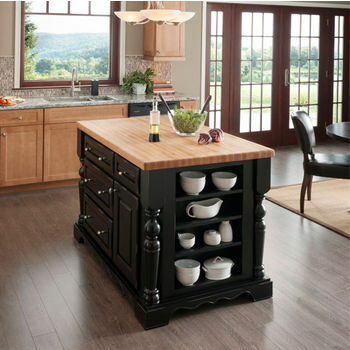 American Furnishing's selection includes kitchen islands, drawers and butcher block bin pull-outs. 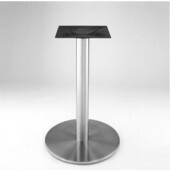 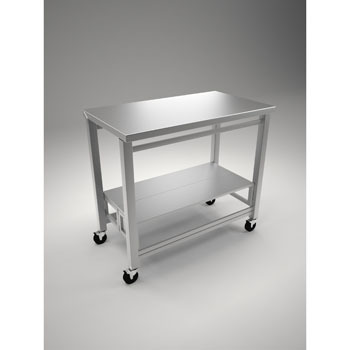 Aero offers stainless steel work tables perfectly capable of handling the punishment of a commercial kitchen. 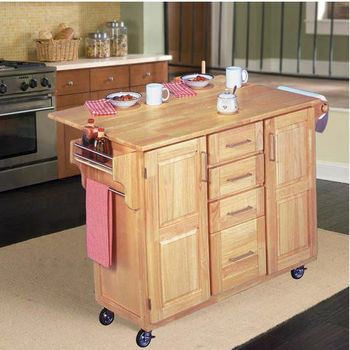 Beautiful natural solid wood Kitchen carts and kitchen islands. 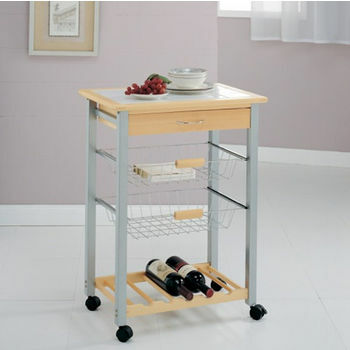 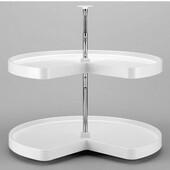 Functional kitchen carts, kitchen islands, baker's carts and trolleys which are also beautiful Furniture Pieces. 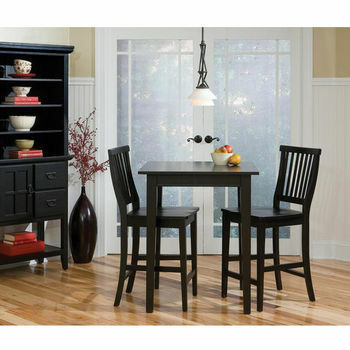 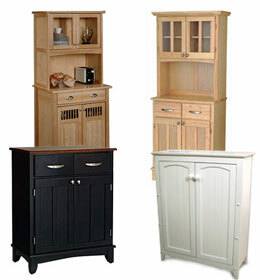 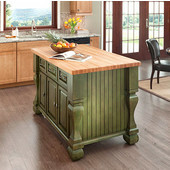 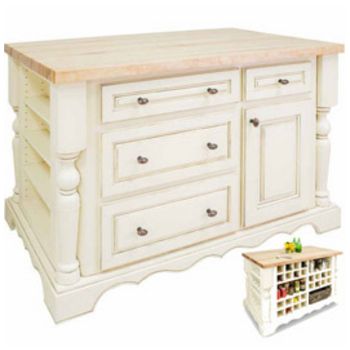 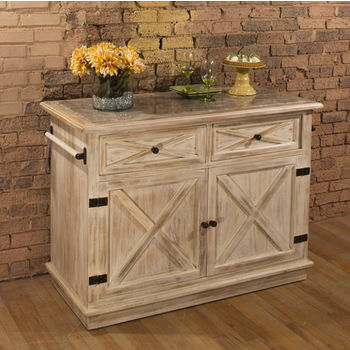 These Basswood kitchen islands are the newest step in kitchen furnishing. 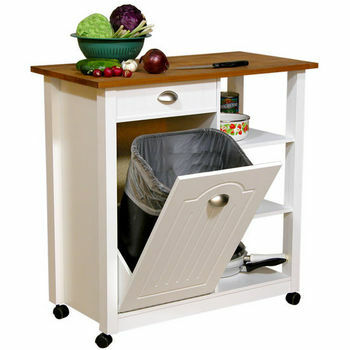 They are kitchen islands that fold up! 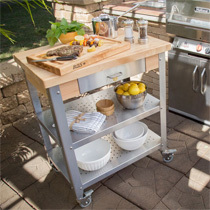 Kitchen carts that combine high-quality construction with flawless design. 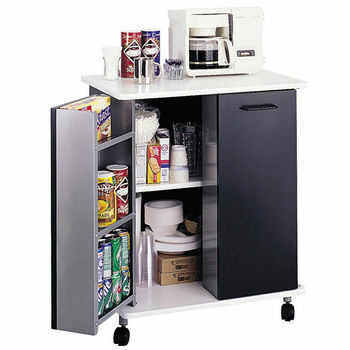 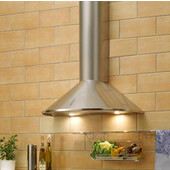 International Concepts brings to you kitchen work centers, kitchen trolleys and mission servers. 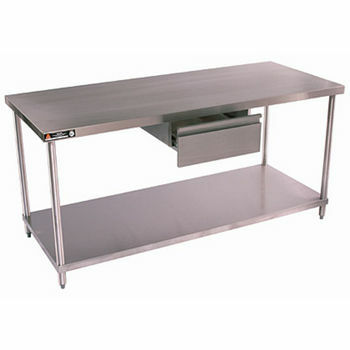 Commercial quality and aesthetically pleasing kitchen workstations, designed by professional Chefs, at a price you can afford. 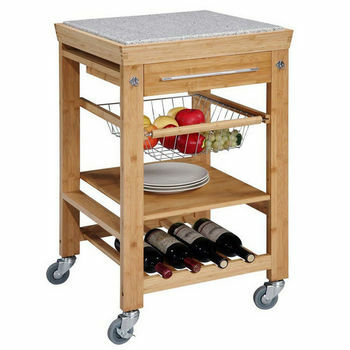 Made from rubberwood with a natural wood top, convenient castors let you move your cart on a whim. 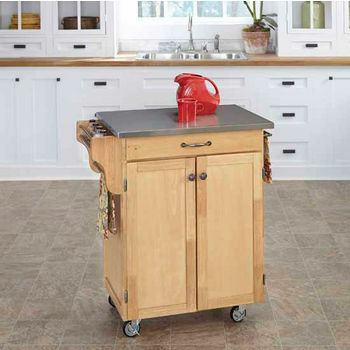 Choose from among four finishes and three top options to create your own kitchen cart or kitchen island.